Arriving guests will find themselves lined up for mug shots before being escorted to their tables by armed gangsters who are just as quick with wisecracks as they are with smiles and drinks. 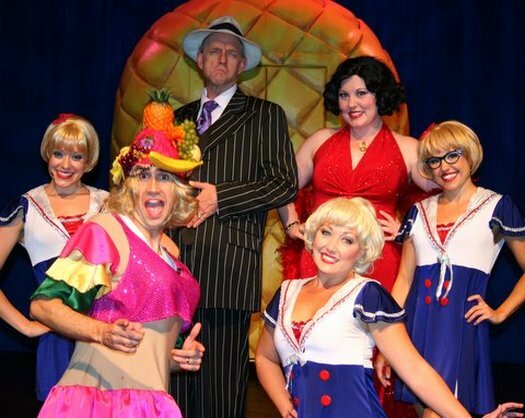 After a successful fifteen year run of the previous script, Director Russell Warner has co-authored a new script where Miss Jewel, Bunny-June, Fingers Salvatorio and Bugs Moran continue their wise-guy adventures through comedy, song and dance. Dinner is an all-you-can-eat buffet with lasagna, fettuccini alfredo, salad, glazed ham roast turkey, pot roast, Italian sausage, macaroni and cheese, and mashed potatoes with gravy. Unlimited beer, Rum Runners, rum & colas, Cape Cods, wines, soda, iced tea, hot tea, coffee, cranberry juice, fruit punch and Kiddy Cocktails are included. Visit www.AlCapones.com for more information and reservations including the Blast From The Past Bargain Getaway which includes two dinner show tickets and a hotel room with breakfast for only $79.99.